Another fine and extremely well researched work by Antony C. Sutton. 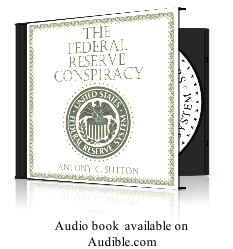 An expose' of the people and forces behind the takeover of the US economy by the Federal Reserve system, on behalf of the oligarchs. A must for anyone interested in the inner workings of US politics and economics, and the concealed reasons for current events. 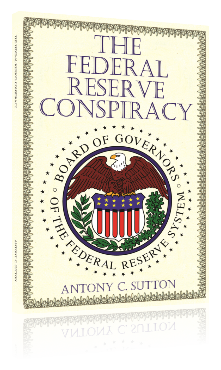 This is the first book that details hour by hour the events that led up to passage of the Federal Reserve Act of 1913 - and the many decades of work and secret planning that private bankers had invested to obtain their money monopoly. With an academic background in economics and engineering, Sutton has worked in mining exploration, iron and steel industries before graduate school at UCLA. In the 1960's he was Professor of economics at California State University, Los Angeles, followed by seven years as a Research Fellow at Stanford University.